Thought about locking in a Champdor-Corcelles vacation package? It's easy with Expedia, and you'll be able to buy a few fancy dinners or presents for your buddies back home with the money you save. Book your package deal today on Expedia and earn savings of up to C$590*! It's that simple! Our expansive database features more than 400 partner airlines and 321,000 worldwide properties. With such a wide range to select from, you can't go wrong! Almost all accommodations can be cancelled with no added fees from us. It can be enjoyable to just wander the streets in a new destination, but sometimes it's a wise idea to come up with a plan. Grab your schedule — we have plenty of excellent ideas for your Champdor-Corcelles vacation. Elegant decor, glittering lights and charming croupiers are just some of the things you can expect at Casino d'Hauteville Lompnes. Amble around the roulette tables or just sit back with a cocktail and revel in the atmosphere. Still got some time on your hands? Connect with nature at Chapelle de Mazieres and see the great work they're doing to preserve this unique habitat. Accommodations in Champdor-Corcelles are difficult to come by at times. With only 2 properties, you won't want to leave it up until the last minute. But don't worry — Expedia is the home of the greatest cheap vacations and luxury getaways. 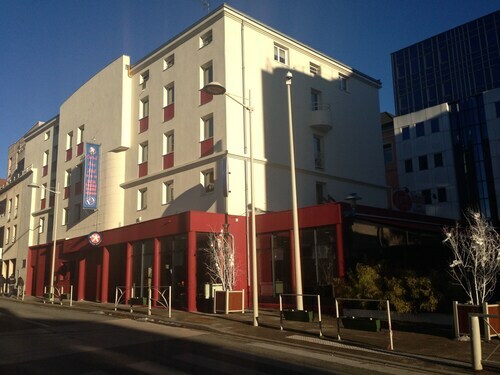 Have a look at the Hotel Le Hauteville (305 rue de la Republique) and the LOGIS Aranc Evasion (Place Du Lavoir). These sought-after accommodations not only come with snuggly beds — they boast great reviews as well! Cointrin International Airport (GVA) is located 30 miles (48 km) northeast of the main area of Champdor-Corcelles. Collect your luggage hail a cab and let the adventure begin! 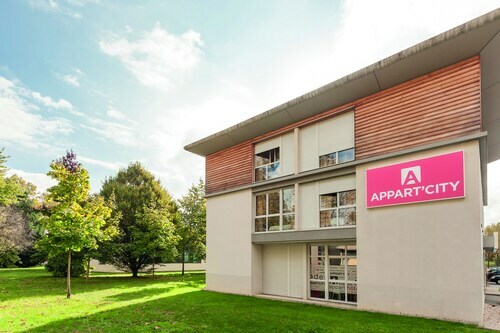 Situated in a rural location, this hotel is 2.8 mi (4.5 km) from Ainterexpo and within 6 mi (10 km) of Brou Cathedral and Parc de Loisirs de Bouvent. Golf Bourg en Bresse and Apothicairerie de Bourg-en-Bresse are also within 6 mi (10 km). 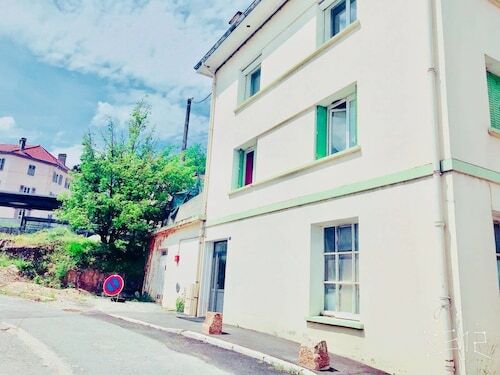 Located in the heart of Bourg-en-Bresse, this residence is within a 15-minute walk of Brou Cathedral and Apothicairerie de Bourg-en-Bresse. Ainterexpo and Bourg-en-Bresse Cathedral are also within 1 mi (2 km). Bourg en Bresse Station is 23 minutes by foot. Situated in the business district, this hotel is within 2 mi (3 km) of Bois des Pesses Park, Bellegarde Canyon, and Jeanne d'Arc Theatre. Pertes de la Valserine and Barrage de Metral are also within 3 mi (5 km). Bellegarde Station is 28 minutes by foot. Located in the heart of Bellegarde-sur-Valserine, this hostel is 2.8 mi (4.5 km) from National Nature Reserve of High Jura Mountain and 11.9 mi (19.1 km) from Haut-Jura Regional Nature Reserve. CERN and Monts Jura are also within 20 mi (32 km). Bellegarde Station is 6 minutes by foot. 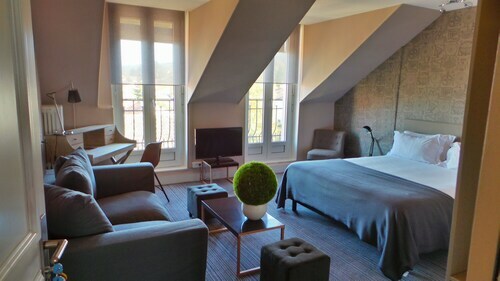 Situated in Bourg-en-Bresse, this hotel is within a 10-minute walk of Brou Cathedral and Apothicairerie de Bourg-en-Bresse. Bourg-en-Bresse Cathedral and Parc de Loisirs de Bouvent are also within 1 mi (2 km). Bourg en Bresse Station is 28 minutes by foot. Situated on a lake, this hotel is within a 15-minute walk of Lac de Nantua, Eglise Saint-Michel de Nantua, and History Museum of Resistance and Deportation. Les Marmites de Geant and Caves of Cerdon are also within 9 mi (15 km). 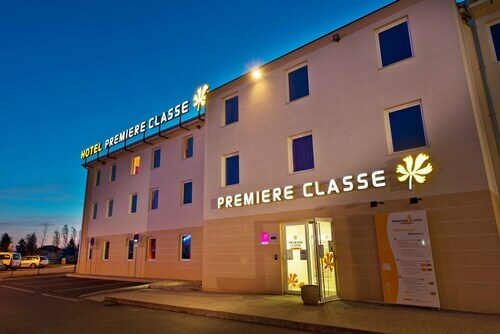 Situated in Oyonnax, this hotel is 0.2 mi (0.3 km) from Rene Nicod Park and 1.5 mi (2.4 km) from Haut-Jura Regional Nature Reserve. Museum of Combs and Plastics is 0.6 mi (0.9 km) away. Oyonnax Station is only a 4-minute walk. 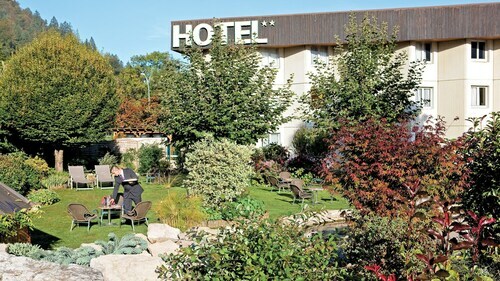 Situated in Oyonnax, this hotel is 0.2 mi (0.3 km) from Rene Nicod Park and 1.3 mi (2.2 km) from Haut-Jura Regional Nature Reserve. Museum of Combs and Plastics is 0.6 mi (0.9 km) away. Oyonnax Station is only a 4-minute walk. Mon., 14 Oct. - Fri., 15 Nov. Thu., 28 Nov. - Thu., 5 Dec.
Flights from Gregorio Luperon Intl. to Pearson Intl.